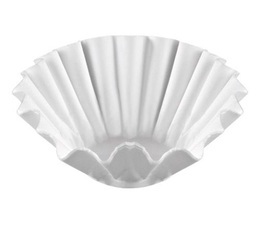 1000 x Calita wave coffee filters for professional filter coffee machines. A box of 1000 wave coffee filters for professional filter coffee machines. Discover this pack of 500 paper filters for Marco Jet 6 professional coffee makers! These filters are essential for the good functioning of your professional filter coffee maker.